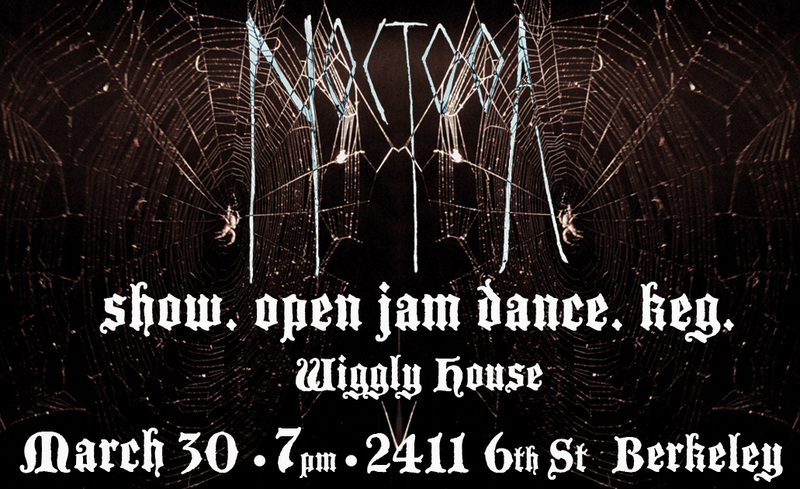 Noctooa is going on Tour! In mere hours we’ll be heading out on our first west coast tour! 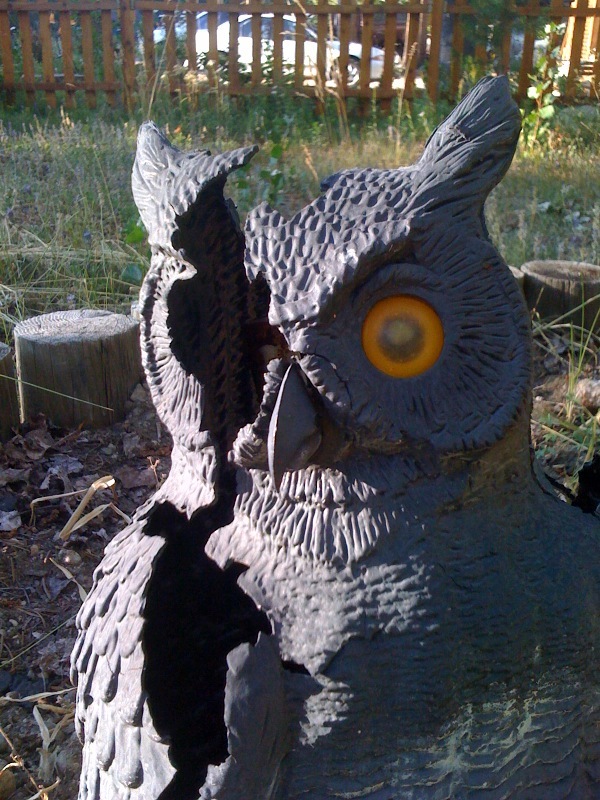 We are beside ourselves with owly joy. Keep an eye on our facebook page for updates on happenings along the way. 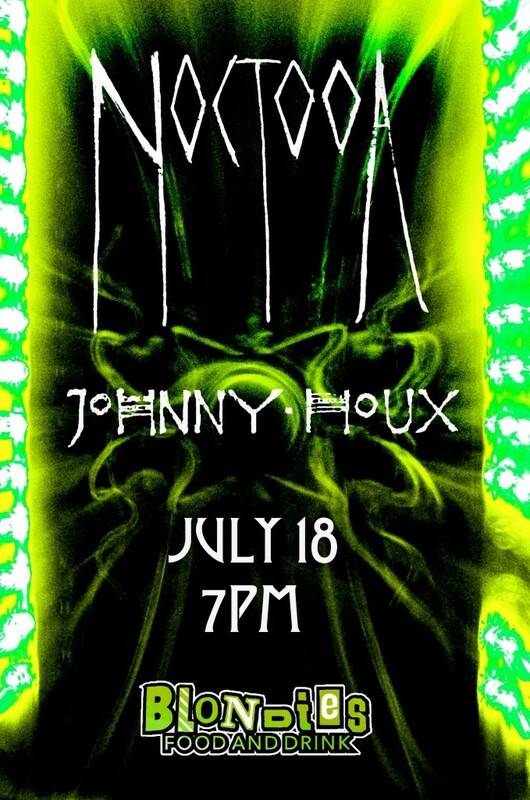 Our first Noctooa show will be in Arcata, CA with Johnny Houx at Blondies. After that we’re headed to Portland, Santa Cruz, and LA, then back to Oakland. Gonna be rad! “Can’t Serve” up on the music page! Check out “Can’t Serve” our latest recording, over on the Music page. This song was tracked completely live, with no overdubs and no click track! We have been really digging this method of recording lately. We are all about capturing a natural vibe and live tracking seems to lend itself to doing just that. Also, check out a couple videos from our February 9th show at the Red Devil Lounge. We can’t wait to play there again! Here’s a little treat everyone…a video of us playing an all acoustic rendition of our brand new song “Tunnels”, which will appear on the debut album. More videos to come! Hopefully you have heard of Deli Radio by now…but if not, make sure to check it out ASAP. Deli radio is geographically based online radio, catered to both signed and independent artists. Anyone can sign up, add their songs, photos, etc and have a nice band page for people to check out. The coolest feature, is that you can track bands that are coming through any town/area/venue you choose, and create a nice playlist all those bands. We dig it quite a bit, as it’s a super easy way to find out about awesome local/unsigned bands that we would have otherwise never heard. Also, Deli is based right here in Berkeley, CA. Needless to say, we have a Deli Radio profile…go check it out! 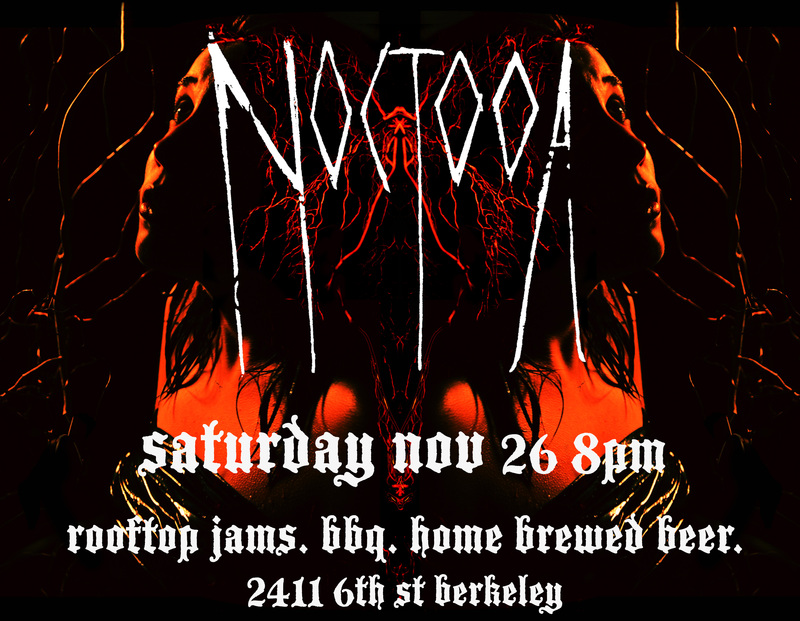 Follow the spooky melodies to 2411 6th Street in Berkeley on Oct 31st…Noctooa will be playing on the rooftop! 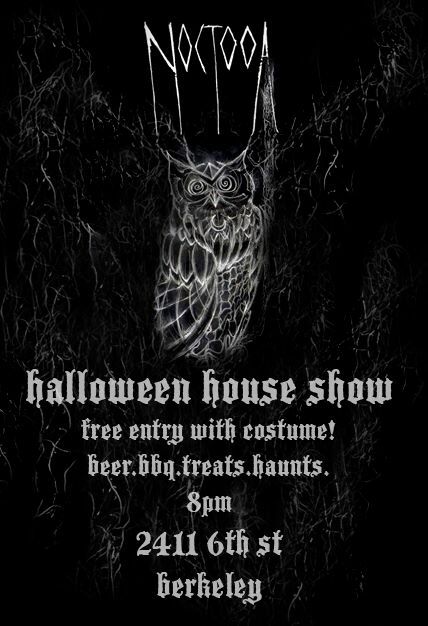 Come celebrate and fill your bellies with us on all hallows eve. 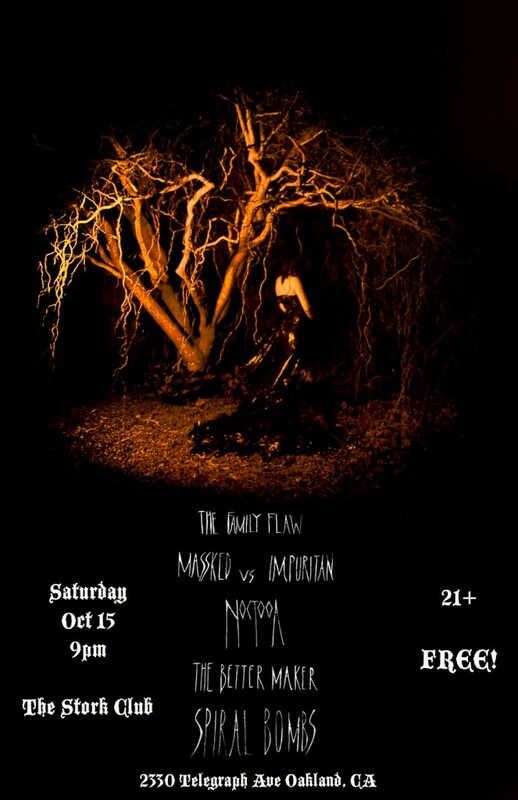 The first Noctooa show is officially booked for Saturday, October 15th at the Stork Club in Oakland, CA! We’ll be playing with Spiral Bombs, The Better Maker, Massked vs. Impuritan, and The Family Flaw. This should be a really cool show, and its FREE!